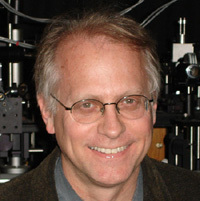 EFree Director Russell Hemley recently presented a talk entitled "H2O under Pressure" at the Workshop on Fundamental Problems in the Physics and Chemistry of Water, held in Houston TX on January 16-17, 2015. The workshop was hosted by the College of Science and Mathematics at the University of Houston. The workshop was organized in response to requests from the DOE for reports on the Grand Challenges facing science in the next 5-10 years, and the importance and difficulty of coming to a full understanding of the quantum mechanics of water, changes in its properties upon confinement, its interaction with hard and soft surfaces, and the nature of the phase transitions it undergoes. The Spallation Neutron Source (SNS) at the Oak Ridge National Laboratory invited key scientists working in these areas to the workshop in order to foster collaborations of leading experts in the field with SNS on most urgent fundamental challenges in understanding water that might define the development in this and many other fields, such as biophysics and energy conversion, for the next 10 years. The focus was on what can be learned with neutron scattering and complementary techniques, including simulations, as well as the theoretical resources needed to meet these challenges. Along with EFree, the FIRST (Fluid Interface Reactions, Structure and Transport) EFRC was also represented at the meeting by Director David Wesolowski. EFree Advisory Committee member Giulia Galli also participated in the workshop.